I received this printed scarf as a gift a few months back and have been dying to find a way to wear it. 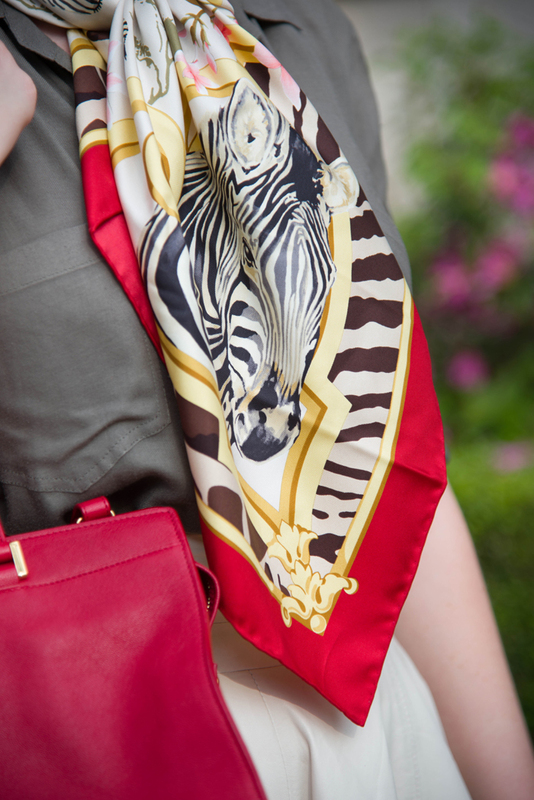 The safari print is bold up close but meshes well when paired with more subdued colors. I’m not the best at tying these things, but I figure I can wear it this way, as a headscarf, belt and even a tie-on to a handbag. Any fun prints you have your eye on at the moment? I’d love to go on this kind of safari!